After several years of grassroots community organizing, Hawaii becomes the first in the nation to implement a state law banning the use of chlorpyrifos, a highly toxic pesticide and neurotoxin associated with developmental delays and learning disabilities in children. The law also includes a robust regulation system requiring agrochemical companies to report on use of Restricted Use Pesticides (RUPs), mandates 100-foot no-spray zones for RUPs around schools during normal school hours and requires the setting up of buffer zones around schools to prevent pesticide drift–all in an effort to protect the health of Hawaii’s keiki (children). On June 26, 2013, after several years of mounting health concerns, reports of children getting sick and sea creatures dying, Bill 2491 was placed on the Kauai County Council’s agenda by State Senate Majority Leader Gary Hooser and Council member Timothy Bynum. The bill called for the disclosure of RUPs by all users, buffer zones around schools and other sensitive areas, and a health and environment impact study. The bill was passed by the Council with a 6-1 vote and was then vetoed by Mayor Bernard Carvalho Jr. The Council ultimately overrode the veto and the bill became Kauai Council Ordinance 960 on November 16, 2013. After that, Hawaii County (via County Council action) and Maui County (via a citizen ballot initiative) both passed similar ordinances. However, large agrochemical companies did not comply with the new ordinances and quickly filed a lawsuit. A federal judge overturned all three ordinances on the basis that the counties didn’t have jurisdiction, but indicated that the state did have jurisdiction, should it choose to pass such legislation. Based on that judgment, the advocates’ focus shifted to getting the state to pass legislation that would achieve their goals. On June 13, 2018, Governor David Ige signed Senate Bill 3095 into law. Program/Policy Initiated: The bill bans the use of chlorpyrifos by January 1, 2019. It provides opportunities for extensions via temporary permits through December 31, 2022, in the event that companies need more time to respond to the ban. After that date there will be no further exceptions and chlorpyrifos will be banned permanently in the State of Hawaii. The mandatory reporting by agrochemical companies on restricted pesticide use and no-spray zone provisions (e.g. 100 feet near schools) are effective immediately with no exemptions. Program goals: To protect infants and children from the toxic neurological effects of chlorpyrifos, which include headaches, nausea, vomiting, tremors, unconsciousness, paralysis, and developmental issues (e.g. reduced IQ, ADHD, learning disabilities). At the federal level, the U.S. Environmental Protection Agency (EPA) banned the indoor use of chlorpyrifos in 2000. 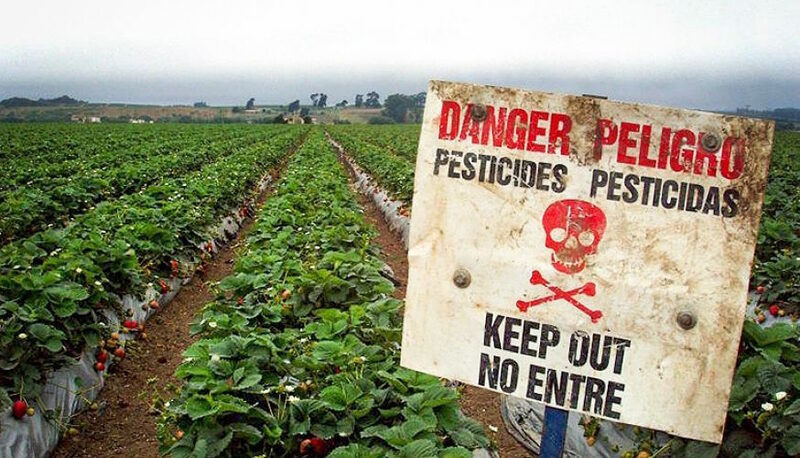 More recently, based on further research into potential health hazards, the EPA recommended banning the chemical from agriculture completely and permanently nationwide. However, despite the agency’s own research showing that children are exposed to unsafe levels of chlorpyrifos in drinking water in some parts of the country, that residues of the chemical on food crops have been found to exceed federal safety standards and that the chemical endangers marine life, the EPA has refused to finalize the ban on chlorpyrifos. 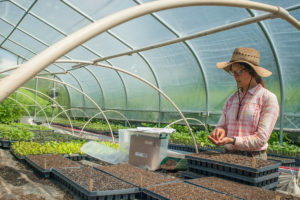 Senate Bill 3095 in Hawaii represents a turning point, demonstrating that it is possible for states to move forward on pesticide regulation despite resistance on the federal level. For over four decades, Hawaii has hosted more field trials than any other state. Because its climate allows for year-around growing seasons, it is where the world’s largest agrochemical companies experiment and develop their genetically engineered crops. The majority of these crops are engineered to resist herbicides and pesticides, resulting in the repeated spraying of dangerous chemicals. Many of these operations are located close to schools and residential areas, putting children and public health at risk. Senate Bill 3095 is a critical step in protecting the public’s health from pesticide harm for the State of Hawaii. The State’s Department of Agriculture is responsible for evaluation. In April 2018, the European Commission voted to severely restrict the use of neonicotinoids, the world’s most widely used category of pesticides, which have been shown to negatively impact bee populations. Read More.